Uniden President PS-1000A C/Ku Band Satellite Receiver. Receiver is in good working order, remote is included but is a little worse for the wear and does not work. Used, sold as is. This item is used, not tested, but powers on. Uniden UST 673 And UST 660 Satellite Remote Controls. Fast Shipping. No other parts or accessories has been included. We tested the receiver by plugging it in and powering it on. It powers on, and the display is working. The function buttons appear to be working, but we were only able to test changing channels. Will look used. Tested and powers up plus was removed from working unit. 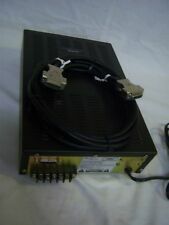 UNIDEN UST SATELLITE RECEIVER SYSTEM MODEL UST-2020. Condition is Used. Shipped with USPS Priority Mail. 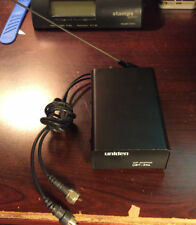 Uniden UST-1000, satellite receiver. Unit comes on but selling as parts as i have no way of testing the unit thoroughly. This item is AS IS or FOR PARTS/REPAIR.